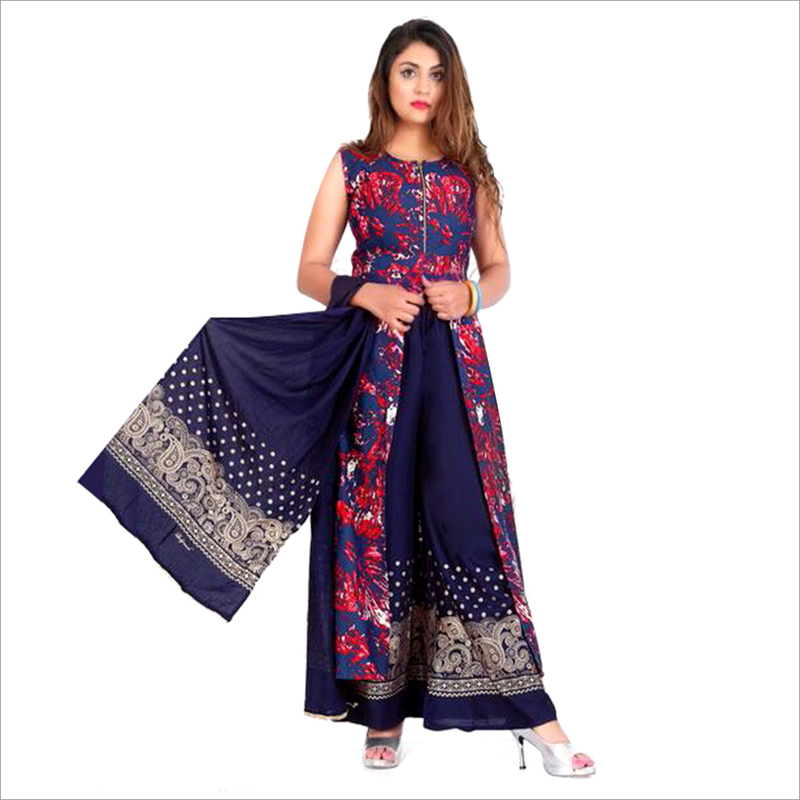 Capitalizing on our market experience, we are offering highly attractive Ladies Designer Palazzo Suit. 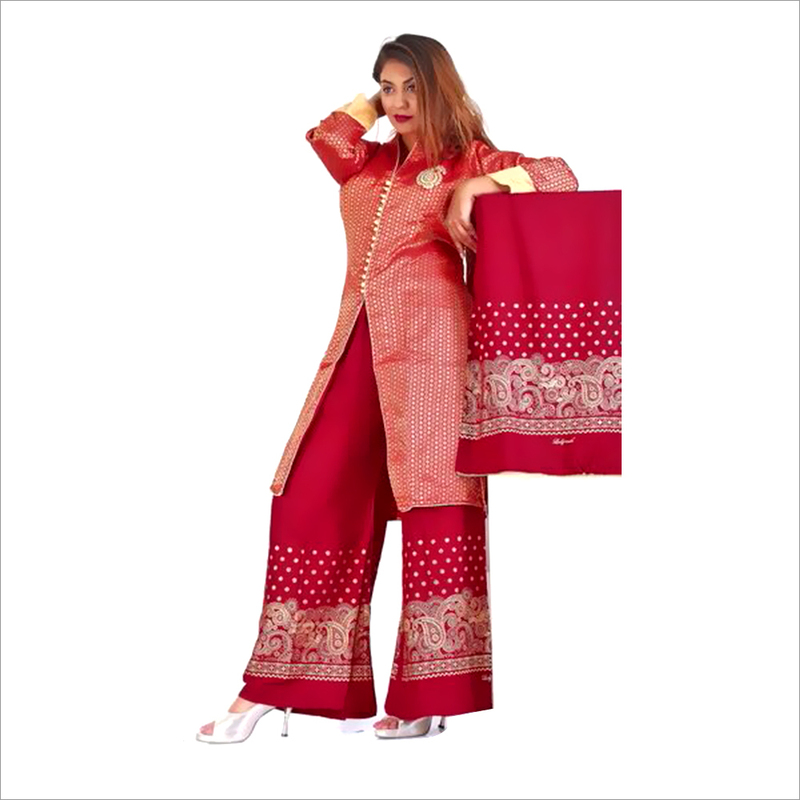 The suit sports a unique design and pattern. 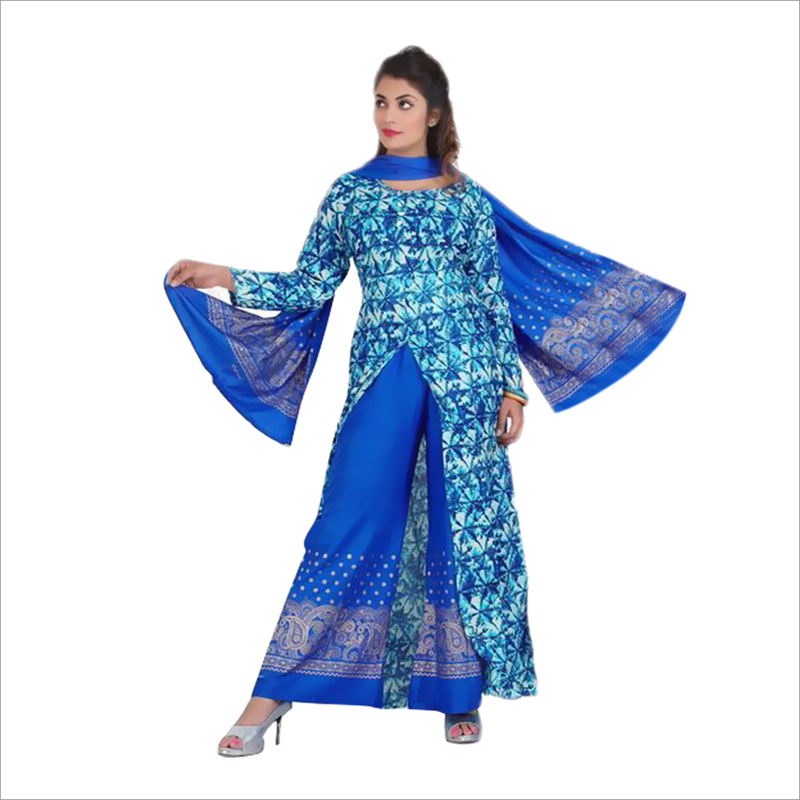 The knee length and front slit kurta has mandarin collar and nearly full sleeves. 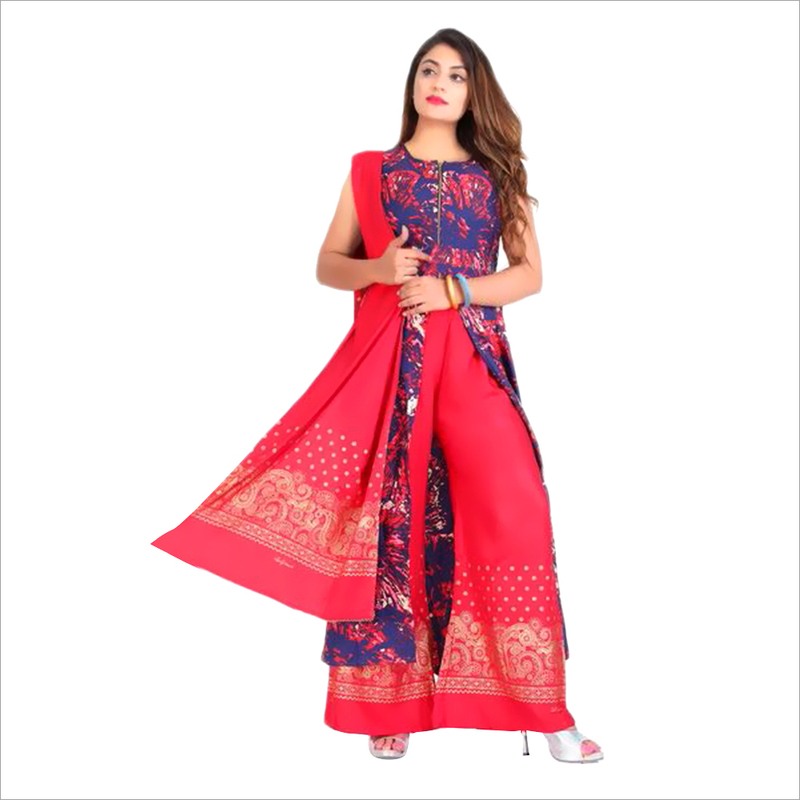 Customers in various parts of India looking forward to buy the Ladies Designer Palazzo Suit can order this immediately.